It’s finally time for the era of the New 52 to come to an end. Can you believe it’s been nearly five years since DC relaunched their entire. 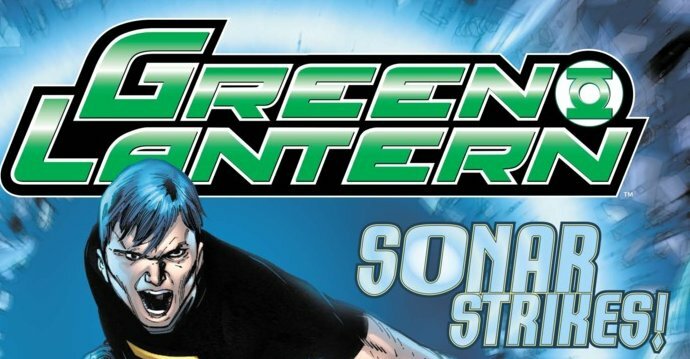 While this won’t be a discussion on the events of Green Lantern from 2011 to now, but more so how far Venditti has come since taking over the book three years ago. While he isn’t departing once Rebirth starts, it’s clear that despite editorial changes there is a through line within his run. Now with another cosmic shift on the way, let’s see how Venditti chooses to end this chapter of Renegade Hal Jordan. After the rather anti-climatic showdown between Parallax and Hal last issue, it made me wonder just how Venditti would actually wrap up this iteration of the Emerald Gladiator. 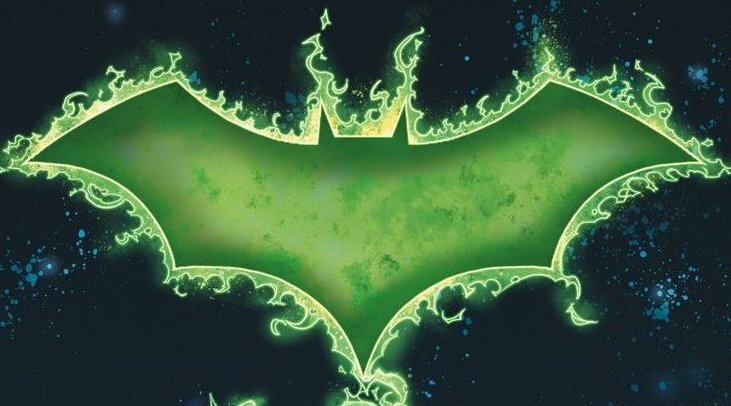 The current state of DC feels similar to Flashpoint, a lot of waiting around before the change can happen. Granted the big story that Venditti wrapped up last year, but the introduction of Parallax gave the perception that a larger story line was on the horizon. Perhaps that leads into Rebirth? Who knows, but let’s see how this arc of Green Lantern wraps up. Take notice comic book fans! This is possibly the last time that comics from either Marvel and DC actually reach issue 50th (given the state of the constant renumbering). So let’s take the time to celebrate this momentous occasion, before it starts all over again in just a few short months. Since December of last year, Venditti has been slowly building towards the ultimate confrontation between one man’s ultimate despair and his reflection. 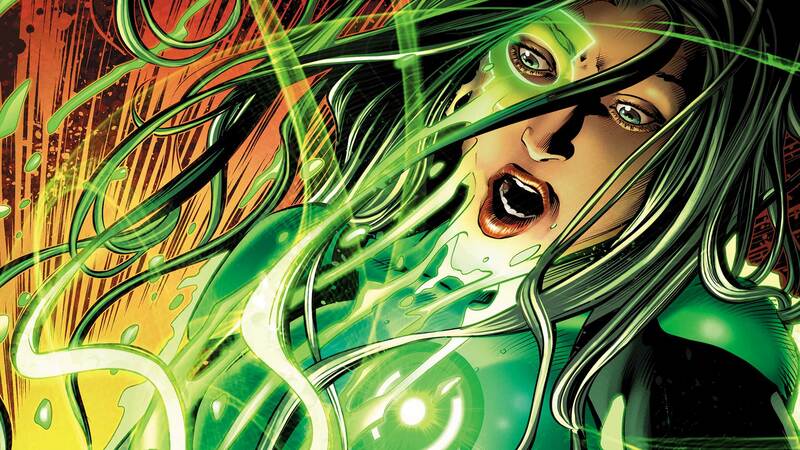 The desire within us to want to reshape our past takes takes physical form as two Hal Jordan’s from battle for their souls. When it comes to superhero comics there’s been a constant discussion of should real world problems intertwine within the realm of fantasy? To some comics are supposed to be an escape from our normal day to day lives. However over the course of seventy five years, there have been instances where the real world problems crossed over to this paper thin realm. I would be here all day long listing them but the one that is more relevant today is Denny O’Neil and Neal Adam’s reinvention of Green Arrow and team up with Green Lantern. This issue serves to cross that boundary once again. DON’T YOU DARE BE SOUR!!! CLAP YOUR HANDS AND FEEL THE GREEN LANTERN POWAH!!! It’s a New Year yes it is. Indulge my wrestling reference but it’s a brand new year for resident renegade Green Lantern. However as most of us know, despite that turn of the calender the past tends to follow us in some form. We as human beings can’t help but walk a similar path until we ultimately remove our blinders and see the troubled waters, and sail into calms shores. I realize I switched from walking to sailing but it all works out in the end, but what does this have to do with Emerald Twilight? The holidays are finally here! After trudging through our own grueling lives, it’s this time of year where most of us go home or spend time with loved ones in some fashion and be thankful for what we have. By sheer coincidence Hal Jordan is actually coming back home as well. Many of us leave the comfort of home, and our journey morphs. It’s fair to say that Hal’s recent encounters with Black Hand and the disappearance of the corps has forced Hal to see if is home planet is still safe. Outside of that it’s just a normal trip home, right? Here we are once again at the end of current Black Hand story line. Last issue I marveled at Venditti’s ability to stay true to Black Hand’s recent history, while simultaneously adding his own twisted spin on William Hand. Now that we are six months into this very different iteration of Hal Jordan, I can definitively say that the change of pace has been good for Green Lantern. The book still retains the epic scope, without the typical end of the world scenario in play. So let’s see how Venditti wraps up the first arc of Green Lantern Renegade!